I was at a trade show dedicated to parenthood when I first heard of this product. At this show, there were booths with every formula, bum cream, and diaper bag was on sale. Nestled amongst the next best thing in baby carriers, sleep training programs, heart monitoring technology, was a small table with flyers. The reason they didn’t have any product for sale, is because what they do is custom - they offer the service of collecting, extracting, and processing tablets of nutrients from your placenta, the after birth of delivery. I’m not going to lie, my first reaction was to be thoroughly grossed out. I’ve always seen pregnancy as a medical condition, to be supervised by doctors and handled at a medical facility. Everything in the delivery room that was not child, stayed at the hospital. That said, I know many strong and intelligent women that take a slightly more natural approach to childbirth. Homebirth and doulas might not be my style, but they are for a lot of women. 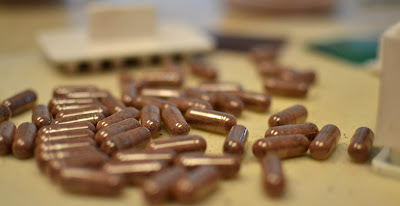 Out of curiosity, I decided to find out how the idea of placenta pills came about, and who, if anyone might benefit from them. Nutrition – the placenta was the life blood of your child in utero and so it contains a number nutrients that supposedly aid in recovery. Improved lactation – the chemical makeup of the placenta supposedly helps your muscles relax and release breast milk. Improve mood – properties of the placenta are also said to improve pain tolerance and make the consumer feel happier and more at ease. These claims are largely unproven, and could present an unrealistic expectation for the results of the action. Western medicine is such that, mothers are not usually lacking nutrition and care. If they are, there are programs available to assist them in and out of hospital. Lactation counseling, natural health products and medication are available for those concerned in that regard. Finally, let’s be honest, is a small mood lift worth the price of admission? I’m not so sure. There are also risks in consuming a product that was really meant to be eaten. A North Western University article details some of my concerns. "Our sense is that women choosing placentophagy, who may otherwise be very careful about what they are putting into their bodies during pregnancy and nursing, are willing to ingest something without evidence of its benefits and, more importantly, of its potential risks to themselves and their nursing infants," said lead author Cynthia Coyle, a Feinberg faculty member and a psychologist. There is an element of risk, your system will already be in recovery, and the science is slim. On top of the serious “ick” factor for me, I’m not at all sure how someone could detach the purported value from the source. While it’s pretty clear where I sit on this matter, if you still feel that this is a practice that is important, enlist the help of your health care professional, and do your research. Ensure that you are permitted to do so in the location you deliver, and that the placenta is handled in such a way as to minimize loss of nutrients, spoilage, and bacteria. I would love to know more about this. If you have participated in this, or considered it, please tell us about it!